From the looks of the packed house at Bottlenose Brewing on Saturday afternoon, February 3, it was safe to say that local Jax area craft beer lovers had the highly anticipated release of the brewery's first round of house beers on their radar. 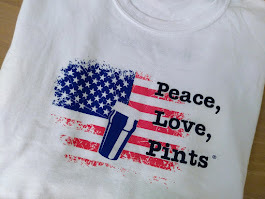 "It's been a party since 11am," said Head Brewer Chas Nemecek, who found a few minutes to spare from working behind the bar to help serve the crowd. 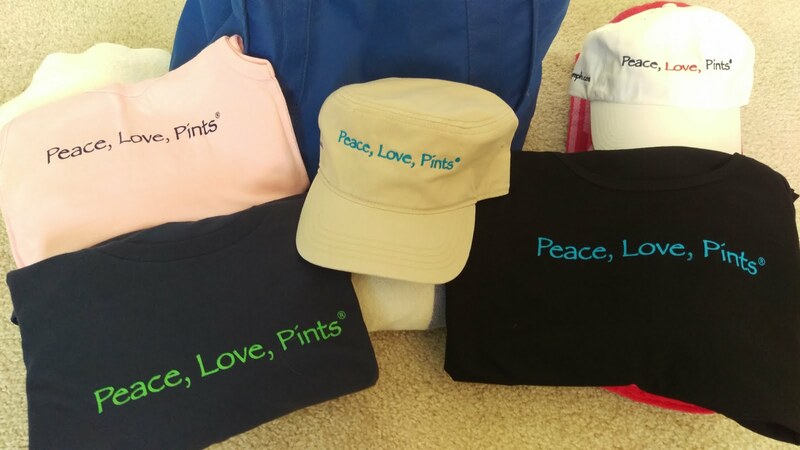 Owner Mark Stillman constantly moved around between the kitchen, bar and indoor and outdoor dining areas interacting with the guests and handing out logoed koozies and stickers. Full house for house beers. Owner Mark Stillman worked the crowd. The brewery opened last April in the former World of Beer space in the Tinseltown entertainment district, as a bar and kitchen with 50 Florida guest beers on tap. Brewing equipment had been ordered and pieces of the brewhouse started to fall in place last autumn. Chas brewed his first beer for Bottlenose Brewing at Intuition Ale Works, a Raspberry Tart collaboration beer, which was tapped on September 2. 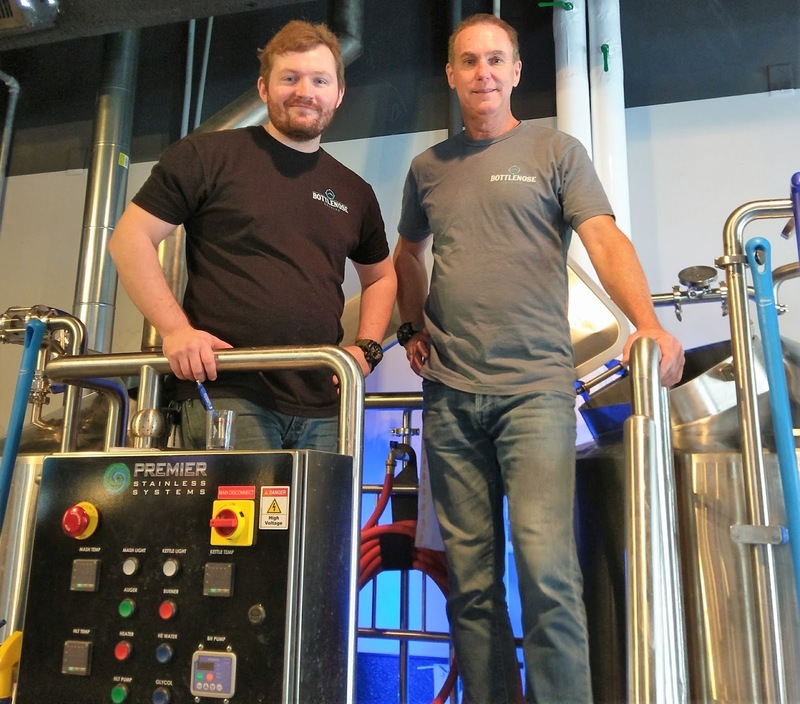 As Bottlenose continued to take delivery of its brewhouse system, the crew worked on set-up and cleaning. 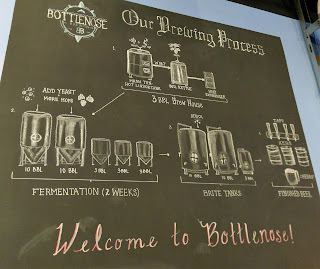 Chas began brewing the first Bottlenose house beers around the beginning of the New Year. Pale Ale, along with versions of Passionfruit and White Peach. All in all, that's a fairly aggressive showing for the first run of house beers! Guests can order full pours (served in 16oz or 10oz size, depending on the beer) or opt for 4oz flight-sized pours to get a taste of a few. 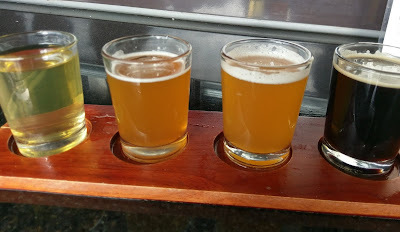 After sampling the first set, above, there was a second go-round of an additional three: Raspberry Lager, Key Lime Lager and Pineapple IPA -- after all, if you're going to do this right, do more! 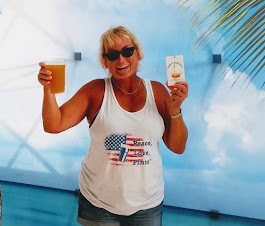 Pineapple IPA: a hoppy fruit blast! The American IPA (6.2 ABV) poured a gold color and had a hoppy aroma of citrus. 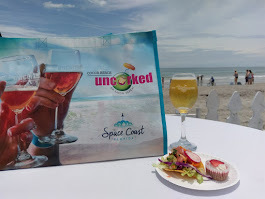 The taste is resiny, citrusy and fruity, with a bite on the finish. It's a good representation of style, and a growler of this one made the trip back! For a fruitier version, try the Pineapple IPA, with the same hoppiness, plus added fruit aroma and a fruit blast with the taste of pineapple. Overall, these two were my favorites, meaning that now I simply must make a return trip for the Double IPAs! In general, the American light lagers (4.2-4.4 ABV) were clear with the characteristic straw color and very light body of the style, along with a subtle touch of bready sweetness and a crisp finish. The Raspberry variant exhibited a light fruitiness. My favorite of the group was the Key Lime version, with a light tartness and subdued, yet very pleasant lime flavor. The White Peach Pale Ale (5.1 ABV) poured a cloudy dark gold color, with a fruity aroma, a fruity flavor and a dry finish. 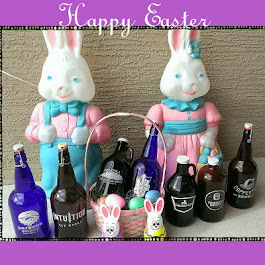 A side-by-side with the base Pale Ale would make a good comparison! Rounding out the set was the Oatmeal Stout (5.1 ABV), with roasty and smoky aromas and flavors, which was another one to do again. 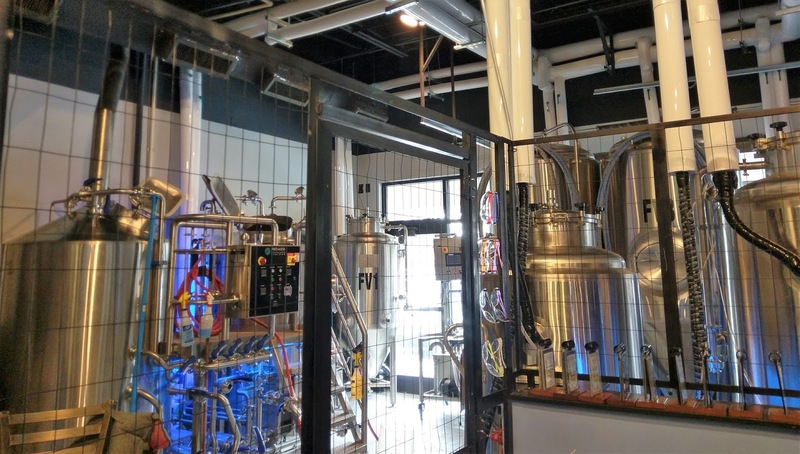 The three-barrel brew system is visible from the main bar and dining room. The brewhouse also includes two 10-barrel fermenters, two 10-barrel brite tanks (in the cooler), three 3-barrel fermenters, and one 3-barrel brite tank. There should be enough tanks to keep Chas busy! Although it's a smaller commercial system, the "beauty" is that it's also easier to "tweak and perfect" the beers, said Chas, who also sees turning out many different styles from here on out. Mark added that the brewery is still "dialing in" the beers, and that additional styles, such as red, brown and sours are yet to come. The guys behind the brew: Chas (l) and Mark (r). 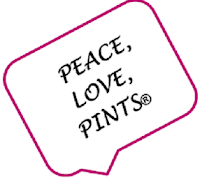 that's the same Mark from Green Room Brewing (see prior article). With 50 taps, there's almost no limit to the number of Bottlenose Brewing beers that can go on that wall. 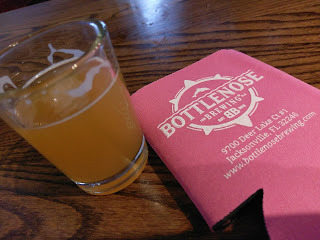 Keep in mind, too, that Bottlenose Brewing has a full kitchen, which, as of this writing, offers several different burgers, including a veggie burger, French Dip sandwich, bratwurst, chicken sandwich, grilled cheese, Chicken and Chips, and Nashville Hot Chicken and Nashville Hot Chicken and Waffles. A variety of side toppings are also available. 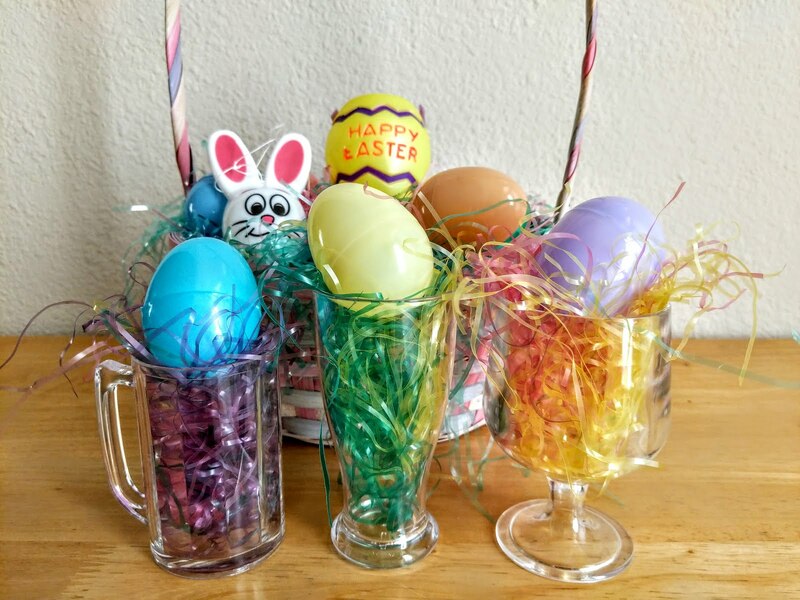 Appetizers include several variations of fries, onion rings, fried pickles, hummus, baked pretzel sticks, house and Caesar salads, and pierogi and kielbasa. The aroma of the food as it exits the kitchen is enough to make your tastebuds send out hunger signals. 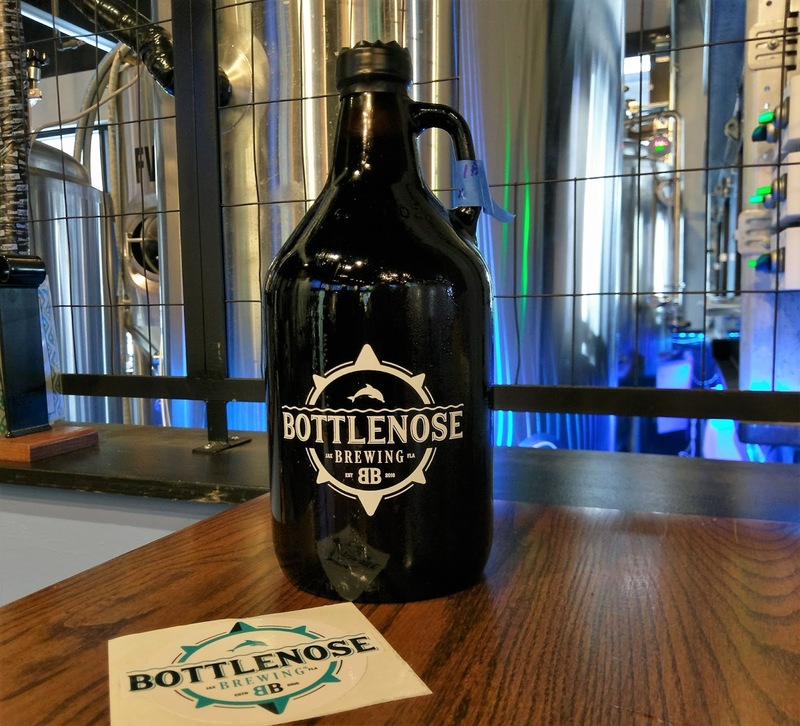 Congrats to Bottlenose Brewing on making a splash with its inaugural house beer tappings. But, congratulations will be in order again soon, as that first anniversary is only a little over two months away. 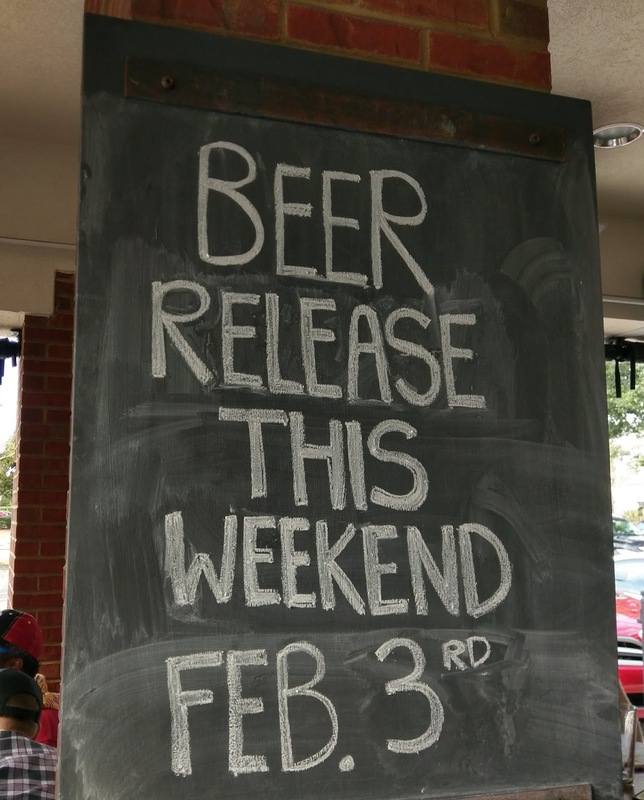 An even bigger beer list, maybe? 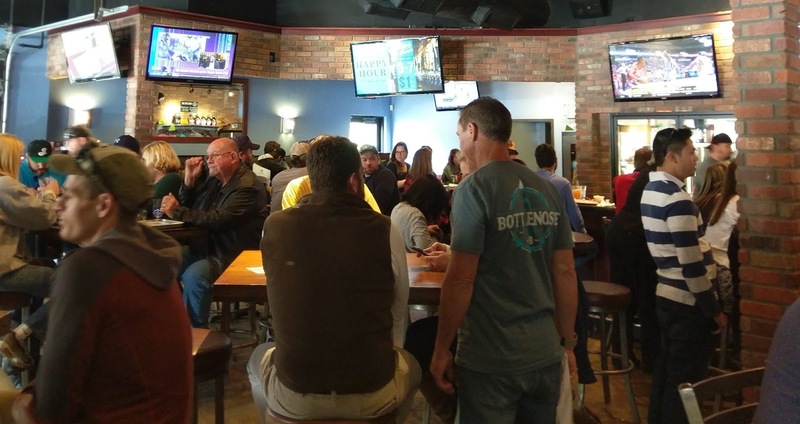 Bottlenose Brewing, 9700 Deer Lake Ct., is open seven days a week, beginning at 11am. 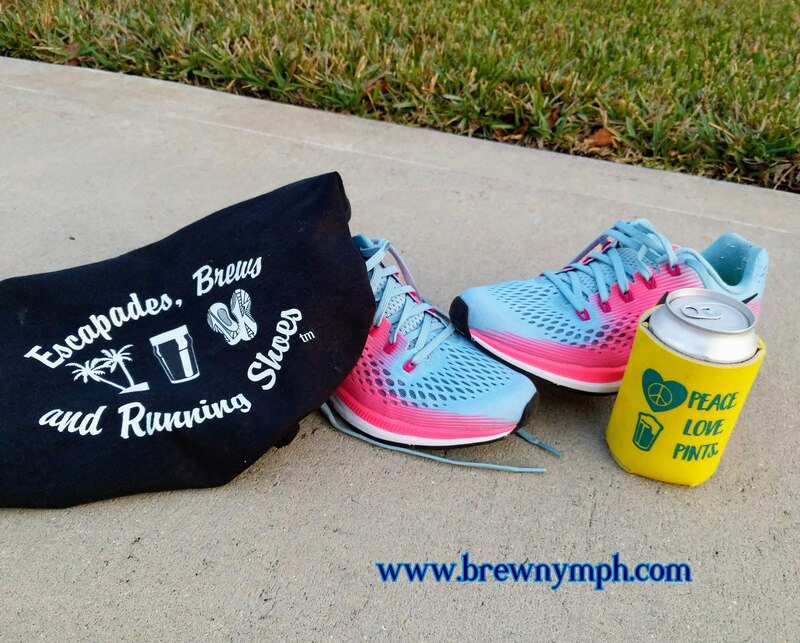 The brewery hosts a Run Club on Thursdays at 6:30pm; Trivia on Tuesdays at 7:30pm; Ladies Night on Wednesdays from 6-9pm; and Weekday Happy Hour, Monday thru Friday, 3-7pm ($1 off drafts and wine). Seating is inside in the main bar/dining room, and outside on a large covered patio, equipped with heaters. Oh, and that Chocolate Stout that I didn't order and now regret? 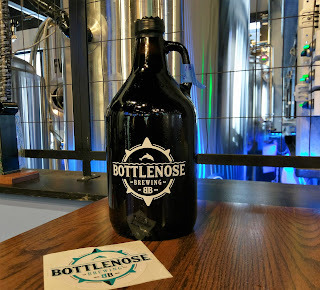 There's always Valentine's Day, when Bottlenose Brewing will tap its own variation of the "Box of Chocolates," with six different versions of the chocolate stout: Mint Chocolate, Vanilla, Chocolate Covered Cherry, Mocha, Peanut Butter, and Coconut. Just sayin'. It was a labor of love in the works for Bottlenose Brewing for a while, but now that the initial house beers have been tapped, it's only onward from there! 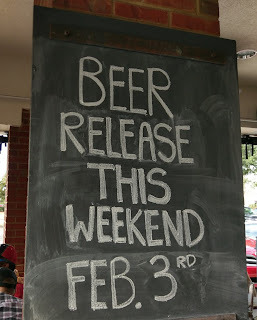 Stay tuned for more beer releases from Bottlenose Brewing. Thanks to Chas and Mark for taking a few minutes to chat! See you with a beer around Florida Somewhere! 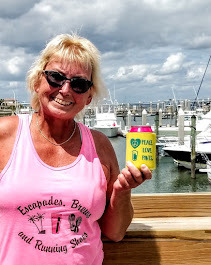 Be sure to check the daily local beer events listings around Jax, Jax Beach, St. Augustine, and the Florida beerfest and special events on brewnymph.com!